Bhelpuri is a savoury snack, and is also a type of chaat. It is often identified with the beaches of Mumbai. Bhel Puri is a wonderful preparation of puffed rice tossed together with a lot of tangy chutneys, aromatic seasonings, crunchy veggies and flavourful garnishes. 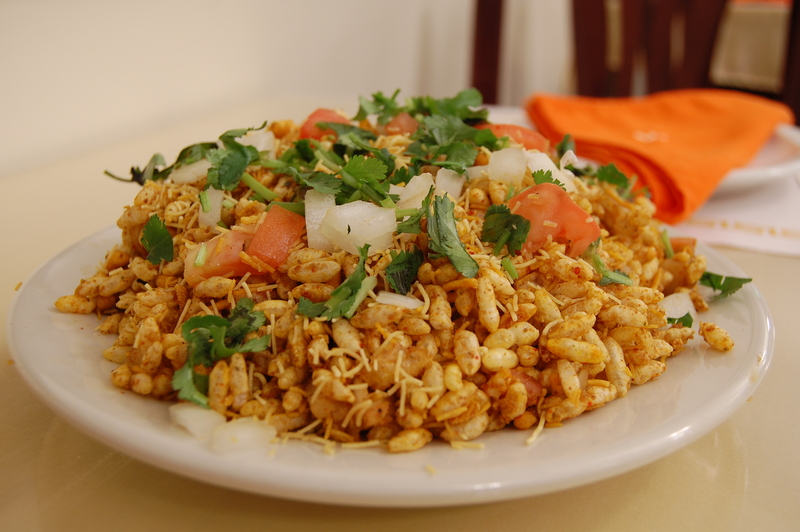 An iconic dish of Mumbai so popular that you will find carts across the cities of India offering ‘Bombai bhel puri’.